Who says we can’t make Vegan Sloppy Joes for Shabbat dinner? 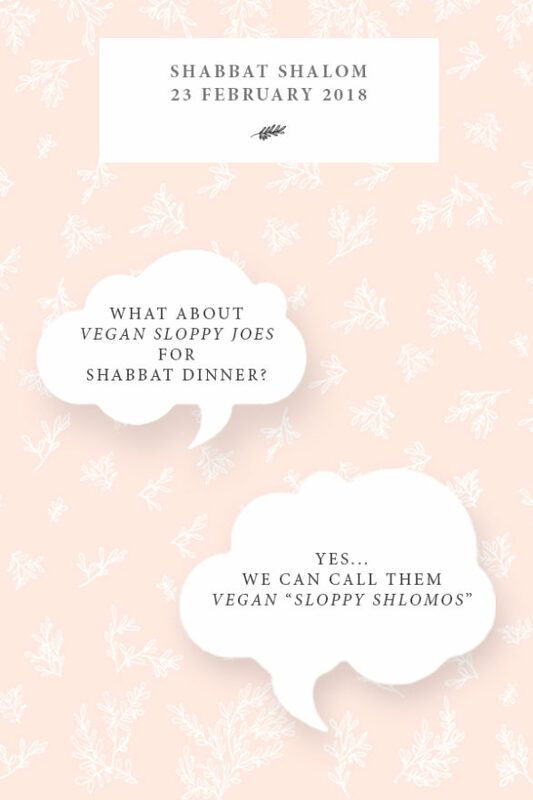 We can call them “Vegan Sloppy Shlomos” for a good laugh at the Shabbat table. A massage sounds blissful to me or even a real hug before Shabbat. It turns out that we all need more non-sexual intimate touch in our lives. If you work out but do not have the budget for massage, practice self care for your muscles with a foam roller. I know Hanukkah is long behind us but we can still serve these vegan chocolate coins for dessert any day of the year. One benefit of me writing this bi-monthly Shabbat Shalom posts is that it makes it so I read about the Parashat. I read a summary (I usually read this one to get the general lay of the land) and then watch the Bimbam video commentary. This week’s Parashat Tetzaveh seems to be a precursor to male Vogue in that it is caught up with what male Priests must wear. Speaking of clothing, today, many people think of modesty as only being about how women dress. Do you ever wonder what else modesty refers to in a Jewish sense? Vegan mock chopped liver is evergreen and even your grandmother would have enjoyed this recipe! Good news for us, yogi teas are kosher. This is a perfect tea to drink before bed. 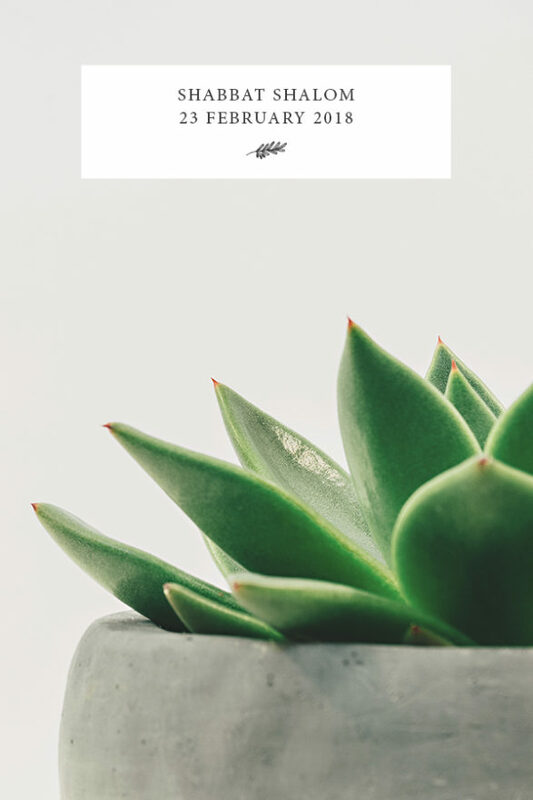 If you’ve been having a difficult time falling asleep, there are countless free guided meditations in this wonderful app. Or you could try a natural eye mask for some added comfort. Your turn: Knowing that clothes do not make the woman, what do you choose to wear for Shabbat? Next What’s In Your Pantry, Melanie Weiss?